Hi, friends! 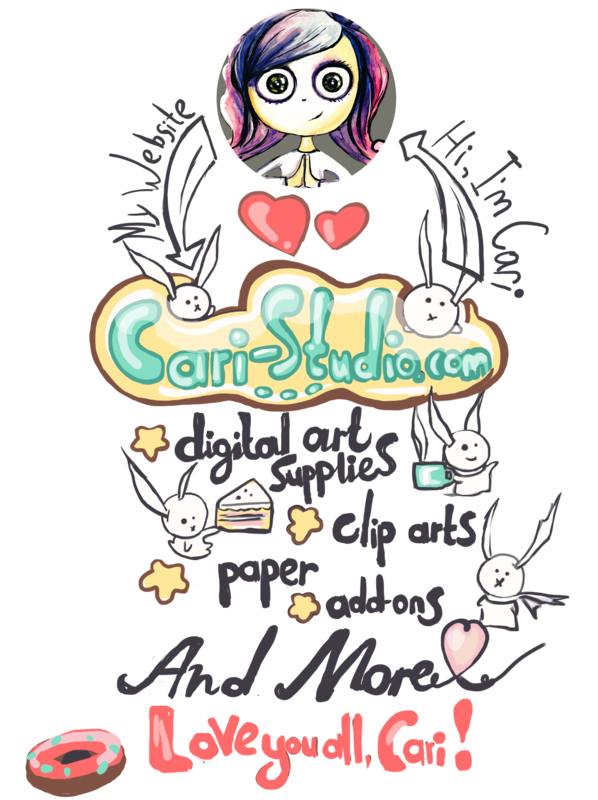 I'm Cari, and this is Cari Studio - a website, where you can find digital goods for your art creation, scrapbook, blog post and else. There you can find free goods, watercolor cliparts, wedding cliparts, watercolor logos, your faivorite charracters cliparts, Photoshop Add-Ons, digital paper and much more!